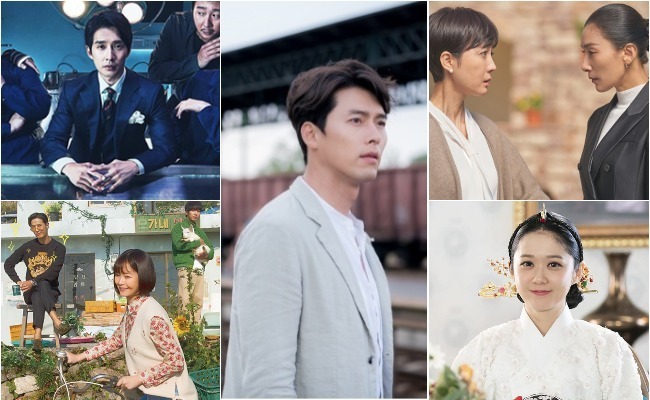 These were the 10 hottest South Korean drama series during the first week of this month, according to big-data analyst Good Data Corporation’s weekly monitoring report. “Sky Castle” held onto the top position as the most-talked-about TV series in South Korea for the fourth consecutive week, accounting for nearly a third of the online conversations. This figure is determined by the volume of articles and blog posts written about it, as well as reactions on social media and in online communities. The latest episode, which aired Saturday, was the most watched to date, drawing in nearly 16 percent of the viewership. The show’s growing popularity has spilled over onto the internet and inspired a plethora of memes and videos. The show garnered praise from both critics and viewers over its dark but humorous depiction of the country’s education craze. There are six more episodes to come. The 16-episode sci-fi suspense drama featuring Hyun Bin and Park Shin-hye was the second most discussed last week. Billing itself as the first show to center on augmented reality games in Korea, “Memories of the Alhambra” is packed with sword fights and exotic Spanish scenery. Hyun plays Yoo Jin-Woo, the CEO of an investment company, who travels to Granada after being contacted by an AR game developer about a groundbreaking project. Yoo’s business trip does not go as planned, however, and he gets entangled in a mysterious incident involving a fight with a friend-turned-rival. SBS’ flagship Wednesday-Thursday series has consistently proved to be a ratings success for the TV network. Actress and songstress Jang Na-ra plays Oh Ssu-ni, who plays a musical actress on the show. 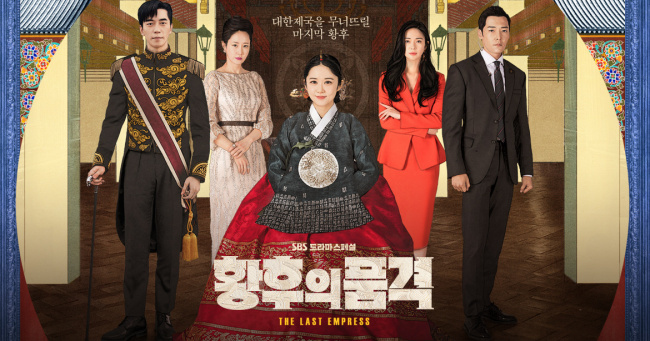 Set in a modern-day Korea that is still a monarchy in the show’s alternative reality, Oh marries her way into the royal family and becomes the wife of Emperor Lee Hyuk. She enters the palace against the backdrop of rampant corruption in the country and falls in love with a bodyguard from the imperial family. Having found true love, she rebels against the royal family. The tvN romance series began with a bang as the first episode broke the record for the most watched first episode of any show on the drama-focused cable channel. Starring Song Hye-kyo, who returned to the small screen nearly three years after “Descendants of the Sun,” the show centers on a relationship between a hotel CEO and her newly employed assistant played by Park Bo-gum. Actress Kim Sun-a plays counselor Cha Woo-kyung, who works with children, in MBC thriller series “Children of Nobody.” The 32-episode show, which began in late November, has just six more episodes to go. Over the course of the last two months, viewers saw Cha unravel mysteries surrounding a child by finding clues in poems. This long-running weekend series began airing on KBS2 in September. Seasoned actor Choi Soo-jong stars opposite singer and actress Uee as a father who meets his daughter after 28 years. The two untangle the secrecy surrounding their relationship, providing a new twist on the classic theme in Korean drama that is family affairs. This is a TV adaptation of the megahit film “Masquerade” from 2012. Just like the original film, the show is set in the Joseon Dynasty. In the face of mounting opposition, a clown named Ha Sun, who looks indistinguishable from King Yi Heon, is brought in to impersonate the king and prevent an assassination. 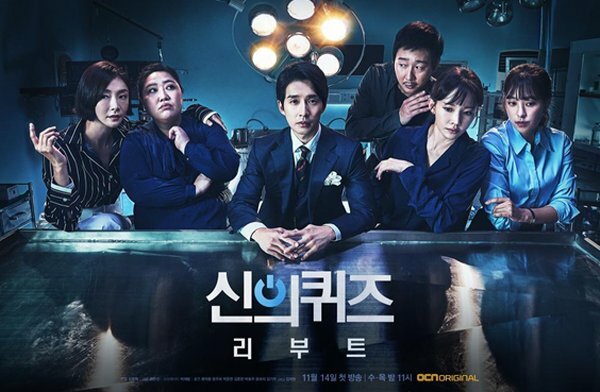 The last episode of OCN’s nighttime thriller airs this week after two months during which viewers saw forensic doctor Han Jin-woo return to his job after four years and wrestle with mysterious investigations. The show is the latest installment of the cable channel’s “Quiz of God” series, with the first season dating back to 2010, which makes for good binge watching. Boasting a star-studded cast including Yoo Seung-ho, who rose to fame as a child actor, the romantic comedy sees Kang Bok-soo, whose name translates to “revenge,” return to school as an adult to avenge himself after being wrongfully expelled following false accusations of violence. A top actor who goes into hiding and a young rough-around-the-edges islander girl make for relaxed TV viewing. Yoo Baek is a self-centered former idol who has taken shelter in a small island town to avoid the spotlight after a major scandal. Oh Kang-soon has a few lessons up her sleeve for the star.